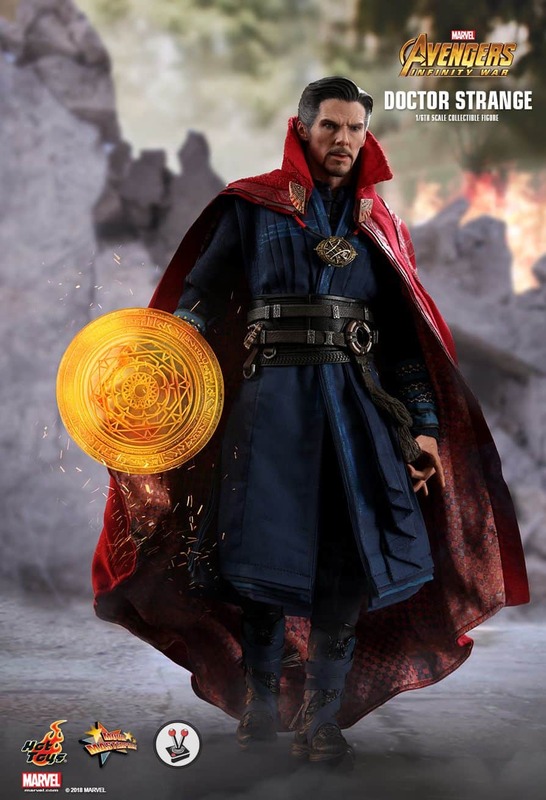 One of the absolute stand out characters in Avengers: Infinity War (2018) is Doctor Strange. 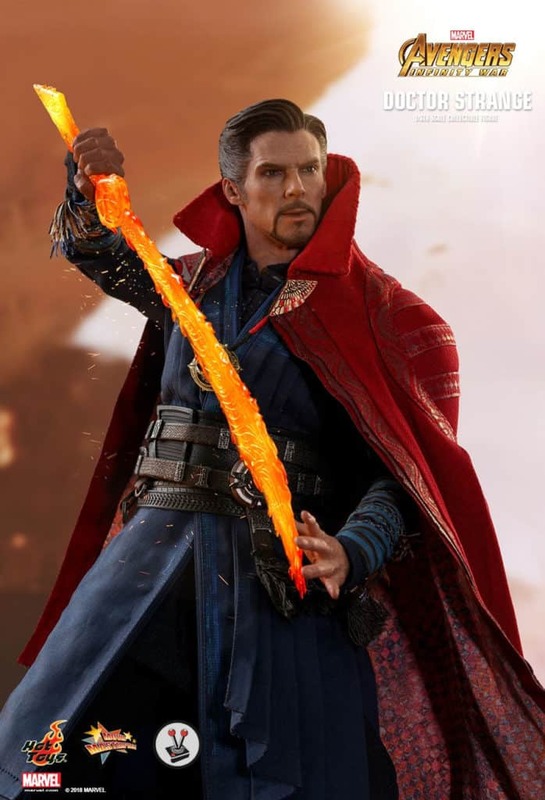 From his quips when speaking to Tony Stark, through to his love of sarcasm when conversing with everyone else, the Doctor is an unforgettable and truly formidable character. Today Benedict Cumberbatch’s character has once again been given the sixth scale figure treatment with the all new Hot Toys Doctor Strange (MMS484). 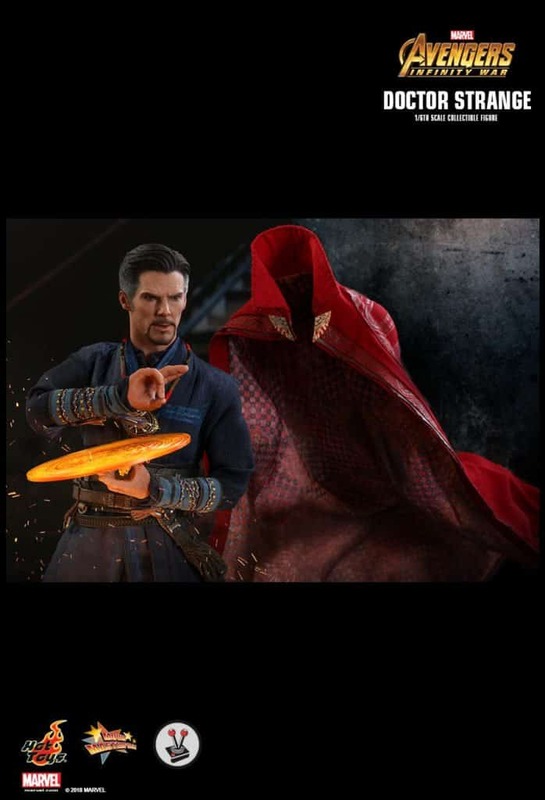 The Hot Toys Doctor Strange (MMS484) is an update from the immensely popular and sold out collectible that launched when Marvel’s Doctor Strange (2016) released. 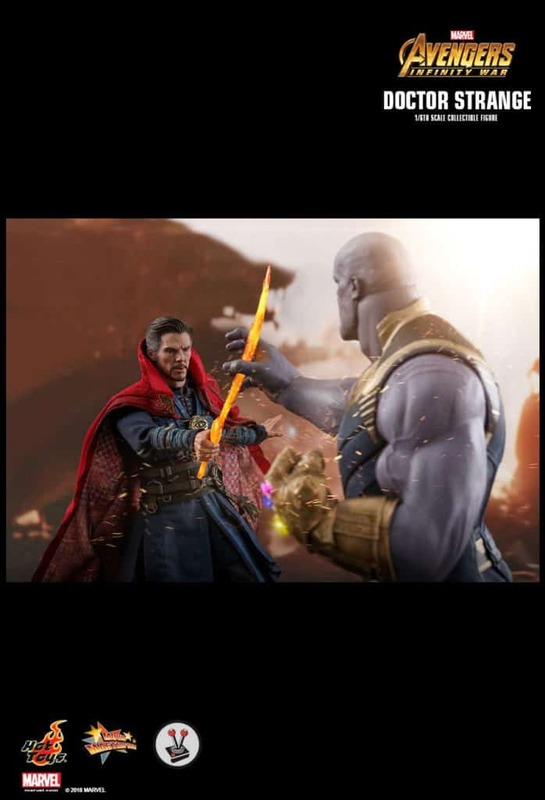 Although similar in many ways, the newer collectible features a brand new headsculpt as well as a backdrop that features one of the most iconic scenes in Avengers: Infinity War (2018). The Hot Toys Doctor Strange (MMS484) effectively miniaturises the ‘wielder of the mystical arts’ down to one sixth scale (roughly 31cm tall), but retains all of the detail of the character from the film. 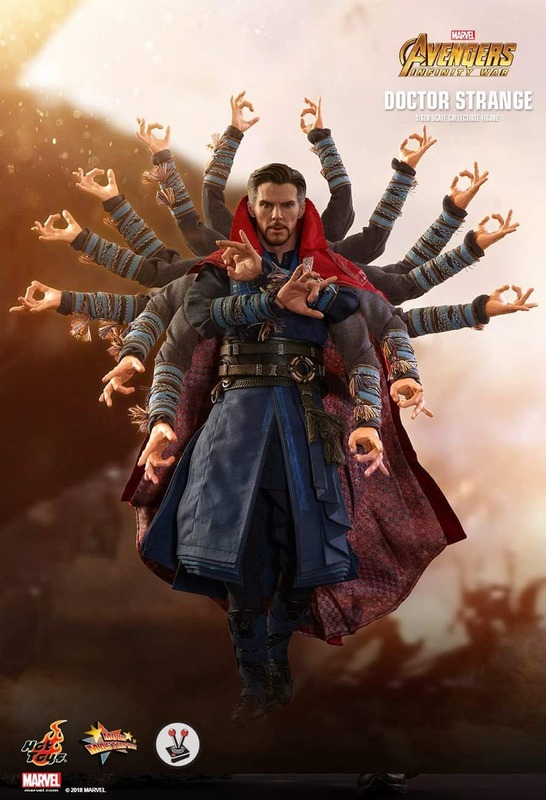 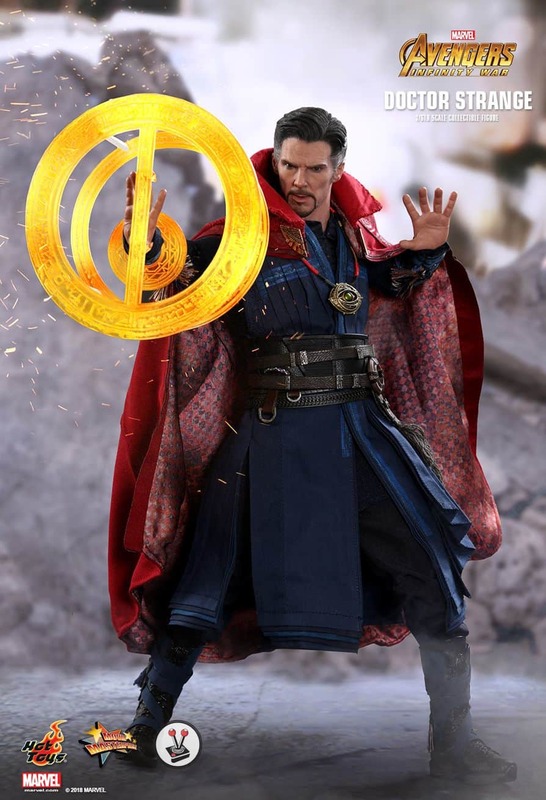 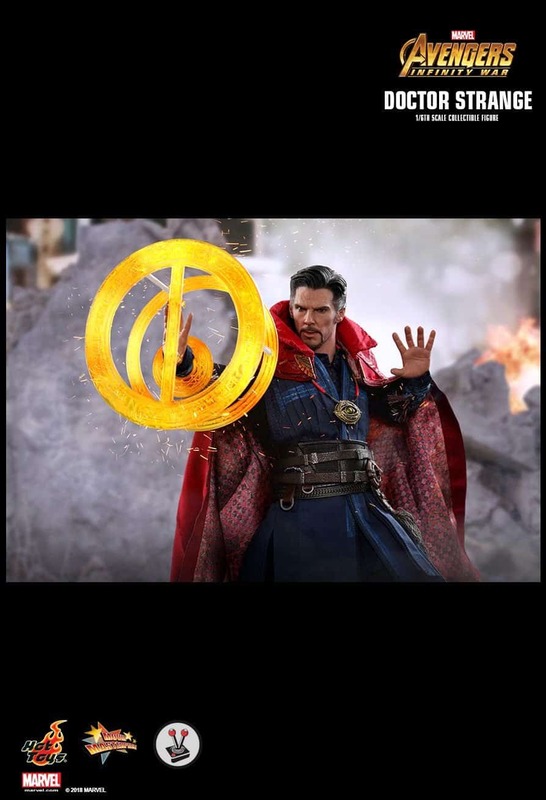 These incredible details include handmade clothing, a magnetic and flexible Cloak of Levitation (such a great accessory), a replica of the Eye of Agamotto (includes both an open and closed eye), several mandalas of light in green and orange to reflect his powers in the film, as well as several orange-coloured “mystic art effects” including a sword and ropes. 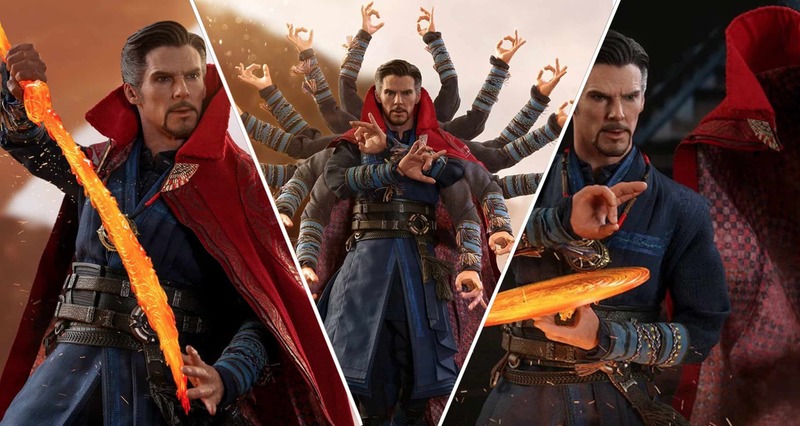 The detail in these promotion shots, which are of a pre-production collectible, are excellent and testament to the skill of the artists at Hot Toys. 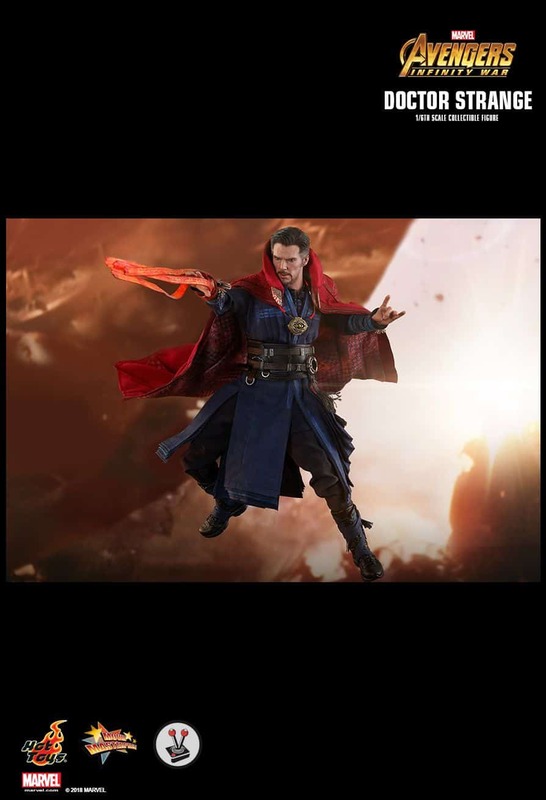 Much like the very first Doctor Strange figure from Hot Toys, the absolute highlight of the Hot Toys Doctor Strange (MMS484) figure is, without a doubt, the uncanny resemblance that it has to Benedict Cumberbatch. 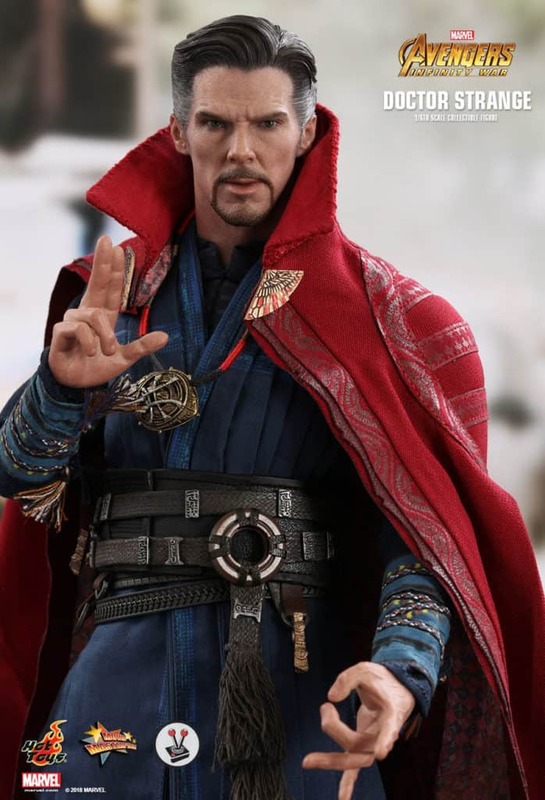 Hot Toys sculptor Viva Kai has done a fantastic job of recreating the likeness of Cumberbatch’s character in Avengers: Infinity War. 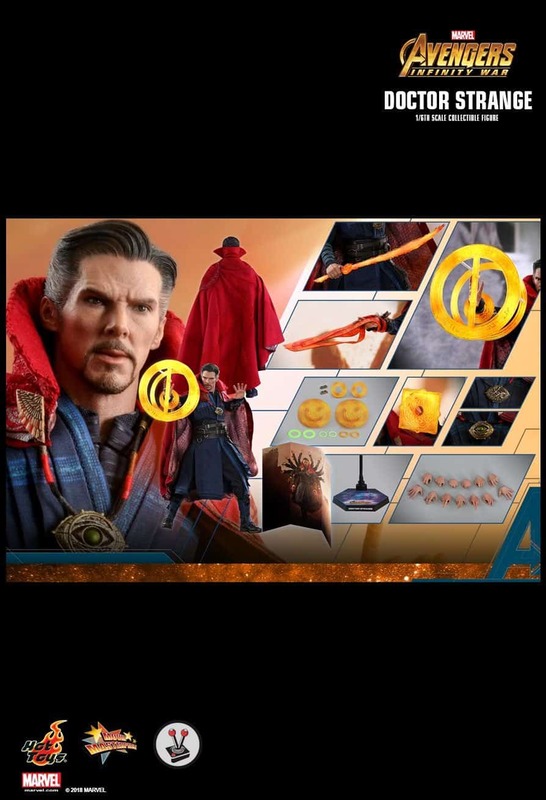 The Hot Toys Doctor Strange (MMS484) Sixth Scale Movie Masterpiece Series collectible figure is due for release in the second/third quarter of 2019 (I would say early 2020 just to be safe). 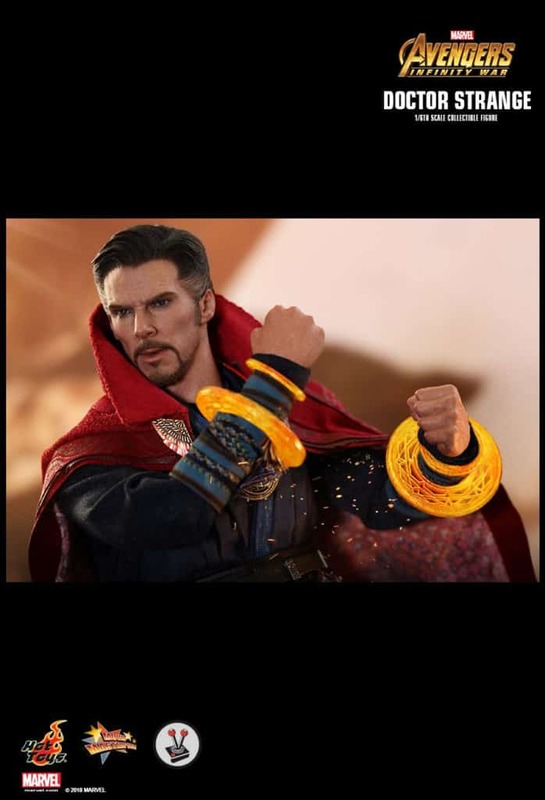 It has a suggested retail price of R4650 and can be purchased directly through Vamers Store. 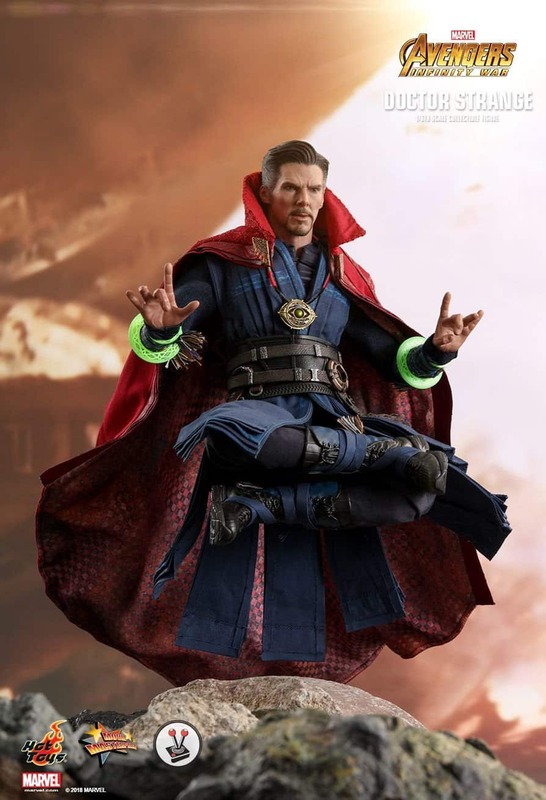 If you pre-order before 15 June, you will save R100!